After the big snow storm this weekend, work was delayed this morning until 10:30am. That gave me a few extra hours to recover from my ski trip yesterday. Maybe I’ll post a couple pictures later. Also, I snuck in an hour on the vertical tail this morning after a quick workout. First thing, I drilled out the 5 poorly set rivets from Saturday, and ended up shooting 67 rivets in today. Here I am setting some universal rivets. Me using the tape trick even on universal rivets. Here are all of the lower vertical rear spar flush rivets. Sorry for the weird angle. 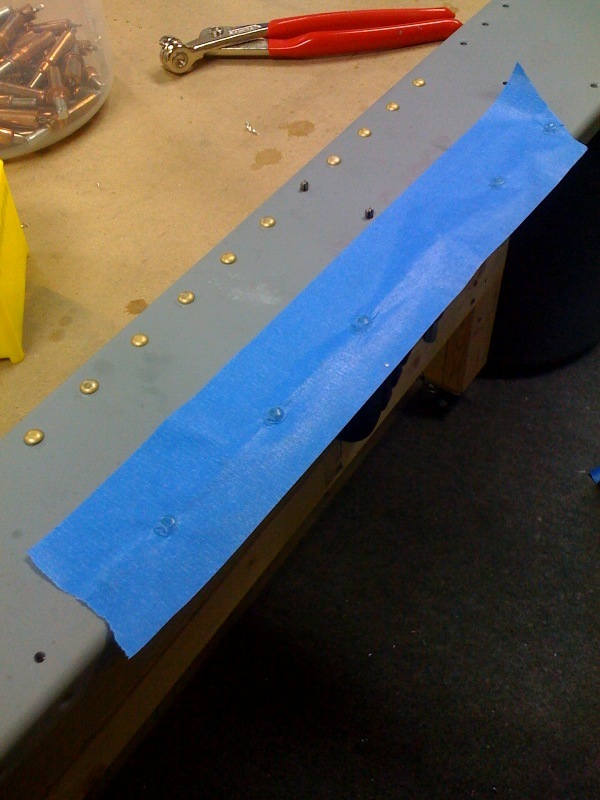 Here are the flush rivets on the forward side of the lower vertical rear spar. About 4 of these didn’t sit completely flush after backriveting, so I’ll have to drill them out. 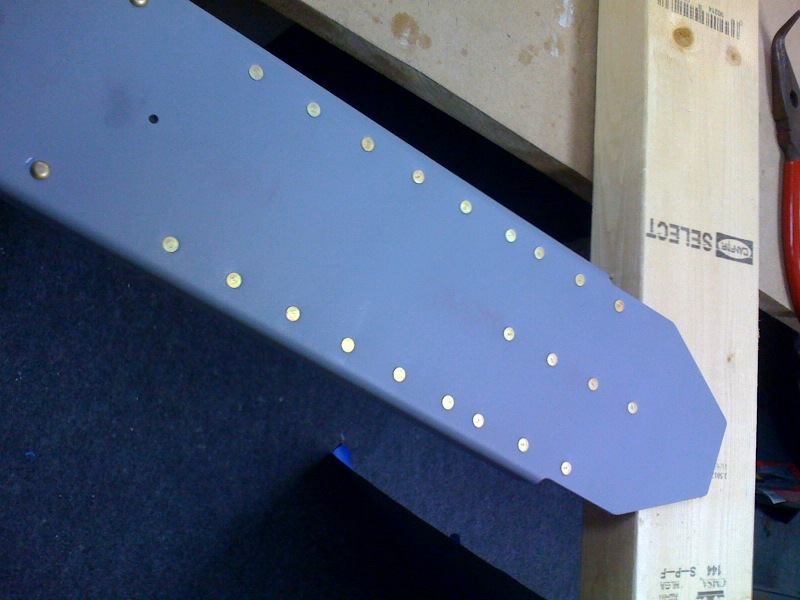 I think it it because I am using some steel bar stock as a backriveting plate instead of a true backriveting plate. Also, my 12″ double offset backriveting set sucked. I think it is too long to really transfer the force. I swtiched to a shorter and it worked great. One hour today. Set 67 rivets, drilled out 5 from the other day. This entry was posted on Monday, February 1st, 2010 at 12:31 pm and is filed under Empennage. You can follow any responses to this entry through the RSS 2.0 feed. You can leave a response, or trackback from your own site.